Viniyoga is an ancient Sanskrit word meaning ‘appropriate application’. Yogajanam offers an authentic transmission of the teachings of Krishnamacharya and TKV Desikachar. Our yoga is taught by Janet Evans who is a Viniyoga teacher. Janet has been practising yoga since the 1980s and teaching yoga full time since 1996. She is a registered AYS and CYS teacher and is qualified through The British Wheel of Yoga as a teacher and trainer and also teaches for Sadhana Mala. She was trained by Paul Harvey completing his 4 year teacher training course and 2 year postgraduate diploma. She is qualified through the BWY to teach children and Pregnancy yoga and has a diploma in Ayurveda. She studied for 25 years with Pamela Tyson and now continues to work with Sylviane Gianina and her own teacher Ranju Roy of Sadhana Mala. "The practice of yoga is like a mirror. It helps us know something about ourselves." 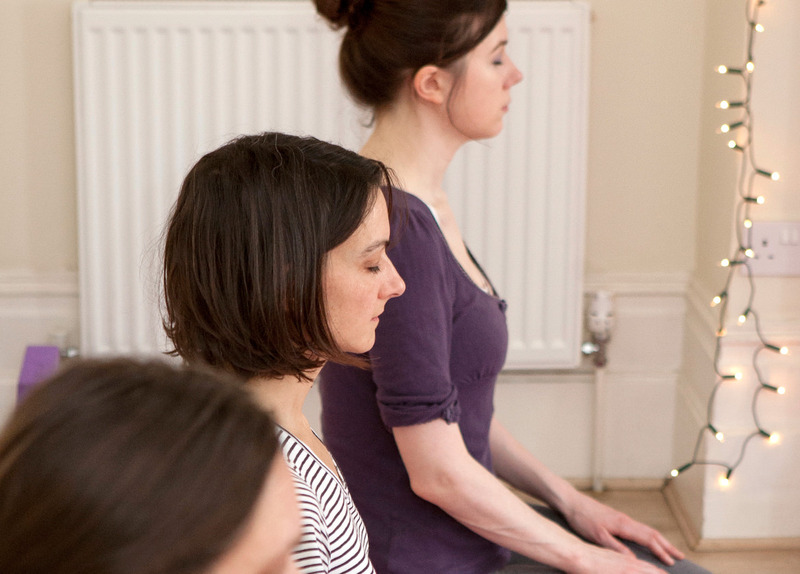 All General group classes are held at The Goose Green Clinic, East Dulwich. Small groups on Mondays and Tuesdays in termly blocks. Drop-ins are available if spaces. One to One classes are tailored to individual needs and include a free initial consultation. Address specific requirements as a more personal approach to yoga practice. Ideal for anyone with particular needs or yoga students simply wishing to deepen their practice of asana/pranayama/meditation. Weekdays and weekends (including Sundays) by appointment. Vedic Chanting is taught 1:1 and in workshops. A monthly Chant Sangha is hosted by Janet in East Dulwich. We offer regular Workshops and Study Courses to deepen your understanding of yoga and Viniyoga, and enable more immersion in yoga practice. We also run Holidays and Retreats outside London. These are a lovely way to escape the stresses and strains of daily life while deepening your experience of yoga. Special Needs Weekly class in Clapham for people with learning difficulties/mental health issues. Teenagers and Children Short courses and workshops can be arranged for children and teenagers aged between 4 and 18. Classes in the Workplace Short courses and workshops can be arranged for individuals or small groups. 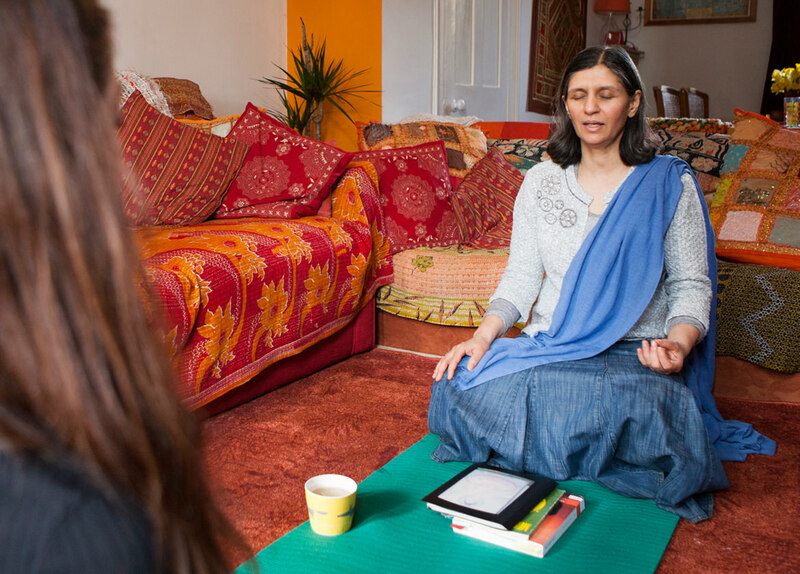 Restorative classes can be arranged for those recovering from illness or requiring a very gentle practice.